When you receive unemployment compensation, your benefits may be paid via a debit card (also known as a direct payment card or electronic payment card). The card will be provided to you by your state unemployment office. When you file for unemployment, you will be advised of the different options available for receiving benefits. Most states no longer issue paper checks because it is far less expensive to process benefits electronically. In the states that have gone electronic, options for receiving unemployment benefits include a direct deposit transferred straight to your bank account or your benefits are added to a bank debit card. After you sign up for benefits your card will be mailed to you. Once received, you will need to activate it and set up a PIN in order for it to receive funds from the government. You'll receive your funds according to a schedule determined by your local unemployment office. Payments are typically made on a weekly or bi-monthly basis depending on your location. To find out how to sign up for (or change) your unemployment payment option, check with your state unemployment office. If your state unemployment office provides a debit card, it will work just like any other bank debit card. You will be able to withdraw cash at an ATM machine of your choice and use your card for purchases at stores. You can also pay bills with your debit card. For example, you may be provided with a Chase Visa card, a Bank of America Mastercard, or another bank-issued card. When you use your card, it won’t be apparent to the department store or your dry cleaner that it’s an unemployment payment card. 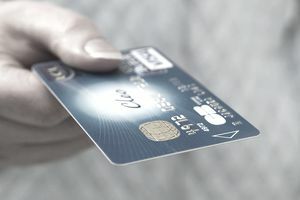 Your card will be similar to a personal debit card. In addition, you may be able to transfer funds from your unemployment debit card directly to your bank account via a direct deposit transfer if you want to pay your monthly bills that way. Check with your local bank to see if they provide this service. If your payment is more than a few days late, call your unemployment office. They will be able to provide you with information as to whether or not your payment has been processed and what to do if your payment is delayed or there's been some kind of snafu. As soon as the world went electronic, scammers came out of the woodwork. That's because, unfortunately, it's not all that hard to steal from people electronically. Unemployment debit card scams are thieves who target unemployment recipients in order to get their hands on your funds. To protect your privacy, do not provide any of the above information to a third party.